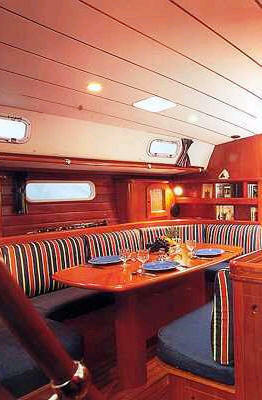 The Beneteau 50 Tahiti sailing yacht is availalbe for bareboat charter. For the ultimate charter yacht, it's hard to look past the Beneteau 50 for efficient hull design, exquisite details and luxurious interior. 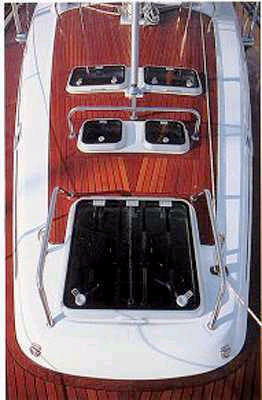 These features only begin to describe the impeccable Beneteau 50 sailing yacht. 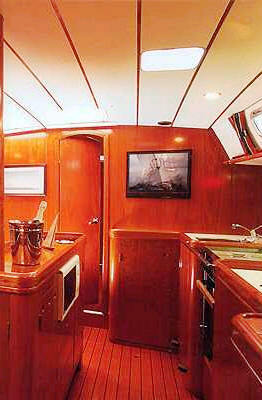 The interior offers space and comfort - the sail plans offer effortless control and she sails beautifully. 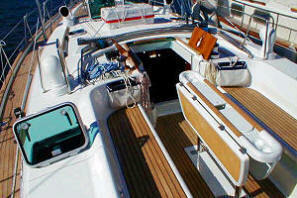 The Beneteau 50 is a superb charter yacht offering elegance in design, sailing performance and space & comfort. 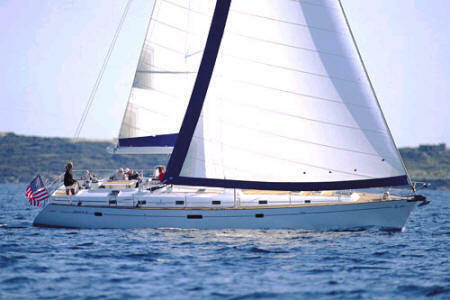 The Beneteau 50 Tahiti sailing yacht is nothing short of stunning. 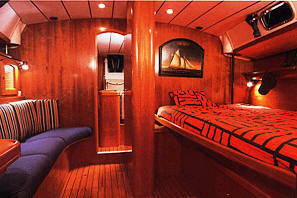 The Beneteau 50 offers four large double cabins all with private ensuites facilities. There is a fifth cabin with ensuite in the forepeak which is really only suitable for crew or children as it is only accessible through a deck hatch. 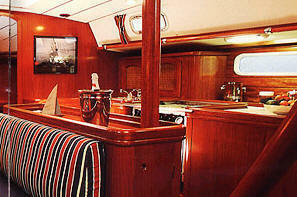 The Beneteau 50 luxury accommodations are ideal for a group of eight. The Beneateau 50 Tahiti bareboat sailing yacht has classic slab main and furling genoa, wheel steering, electric anchor winch, autopilot, GPS, VHF and wind instruments. There is a full compliment of safety equipment. The aft deck offers a bimini and dodger, an ondeck shower, swimming and boarding ladder, BBQ, AM/FM radio & CD player, fully equipped galley with LPG stove & oven and 250L of fridge capacity. The fuel capacity is 400L and water capacity is 1000L.